Sinn Féin Housing spokesperson Eoin Ó Broin introduced The Residential Tenancies (student rents, rights and protections) Bill 2018 which will ensure that these students are protected against steep rent increases. “The DCU students protesting at the 27% rent hikes in the Shanowen student specific accommodation brought this issue to the fore,” said Ó Broin. “We are introducing this bill to rectify what we believe to be an anomaly in the current legislation”. 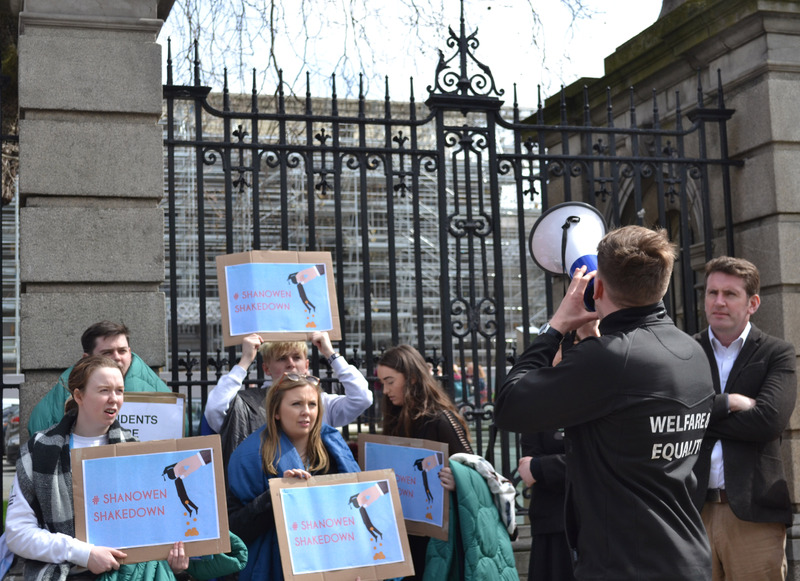 The movement #ShanowenShakedown which saw students protesting the rent increases by Shanowen Square, has been putting increasing pressure on government to introduce legislation protecting students from extortionate increases. If this legislation is passed, student accommodation providers would be required to adhere to the rent pressure zone legislation, said Ó Broin. Under this legislation rents will only be able to rise by a maximum of 4% annually. Incoming DCU SU president Vito Moloney Burke called the introduction of the Bill a “fantastic step forward that started with #ShanowenShakedown”. “The pressure doesn’t stop here,” he said. “The Bill would also ensure that tenants have access to the RTB [Residential Tenancies Board] dispute resolution process in cases such as deposit retention and maintenance issues”. Ó Broin’s Bill aims to clear up any uncertainty in the current legislation that has allowed for interpretation by student accommodation providers. “Our Bill seeks to make it clear in legislation that students in student specific accommodation under license agreements can avail of the full protections offered by the Residential Tenancies Acts”. Ó Broin urges students living in student specific accommodation to bring a case to the Residential Tenancies Board so that the law can be clarified.